In my opinion, summer is the best of the four seasons. Some people might love winter for its snow, spring for its flowers, or fall for the beautiful colors, but I absolutely love summer! Food prices are cheap, and produce is fresh. Temperatures are great for grilling, and spending time outdoors without wearing multiple layers of protective clothing is suddenly a very real possibility. 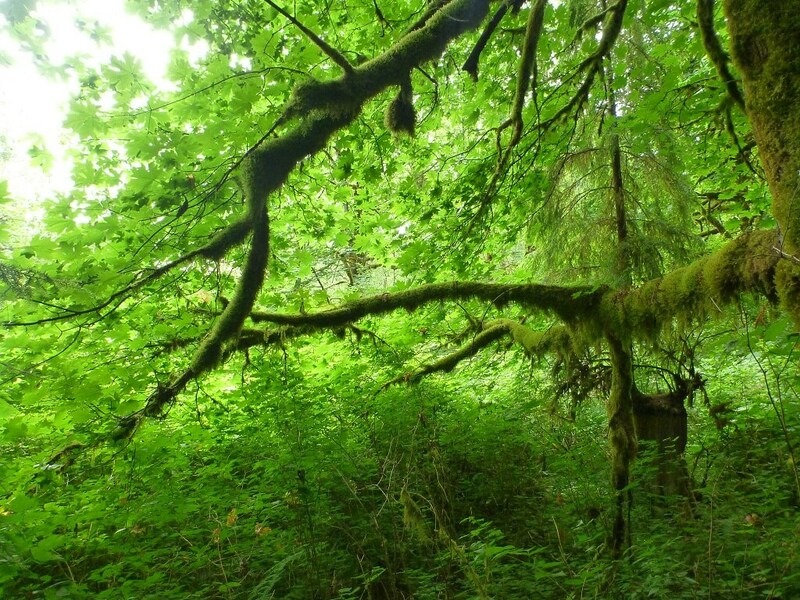 The beautiful greenery of the Pacific Northwest provides a wonderful backdrop for family hikes. What about our summer utility bills? Don’t they get crazy high? Nope! While many areas of the country see excessive heat and humidity during the summer months, the Pacific Northwest is a relatively cool and dry spot. Consequently, our utility bills during the summer months are the lowest of the year. There is literally no AC unit inside our home, because it just doesn’t get that hot here. So yes, I love summer — It’s filled with sunshine, low utility bills, fresh fruit, the bounty of the garden, and plenty of time spent outdoors. 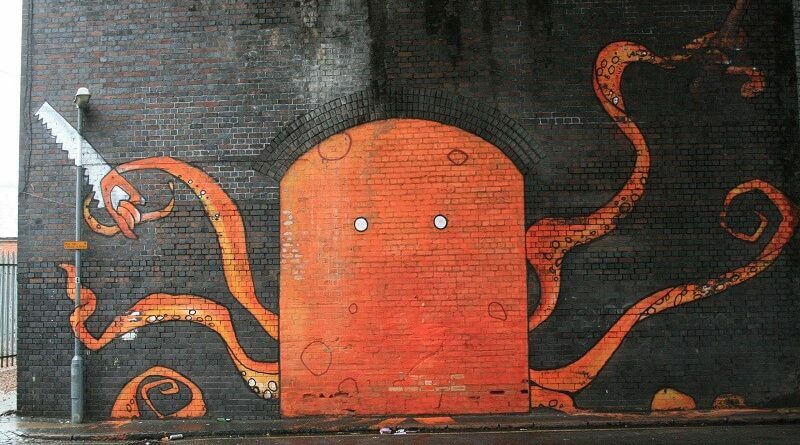 This little octopus loves a good hike! 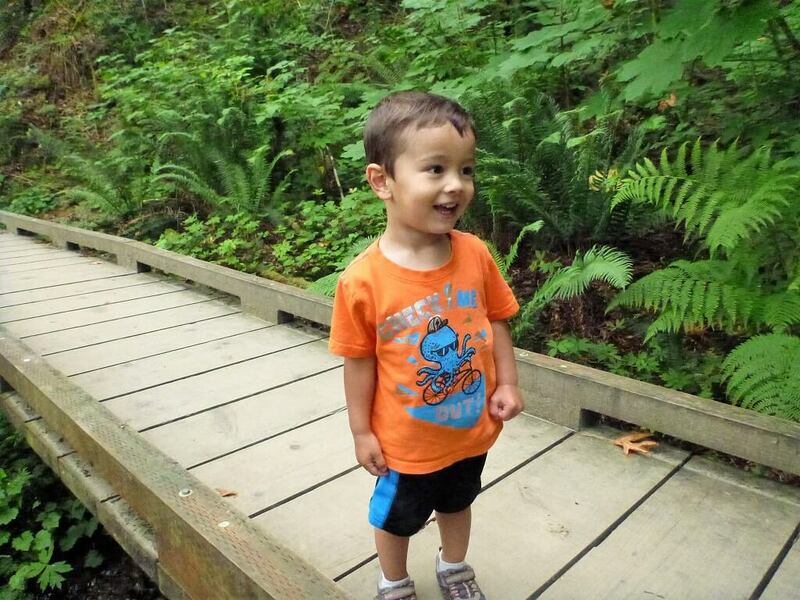 Our kids love hiking, and it’s completely free entertainment! As you might expect, when food prices and utility bills are low, this leads to very low monthly spending. For the month of June, we spent $5,027.77. This is our lowest monthly spend for the year so far… and summer has only just begun! Food expenses were lower than usual in the month of June at $485. We tend to average right around $500 per month for food, but June was unexpectedly lower. Maybe doing more of our shopping at Cash & Carry had an effect. One possible reason for lower food costs, could be the garden producing more. 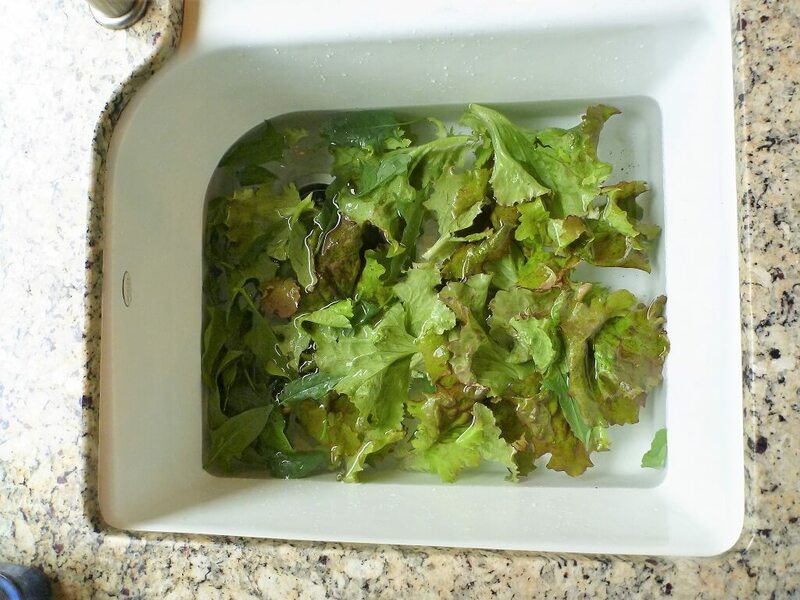 Here, I’m washing up a freshly picked batch of lettuce in the sink for a salad. Note: If we had eaten at a restaurant in June, I would have included it in this category. We didn’t eat out in June. We cooked at home. Cooking at home is a great way to save money, and I highly recommend it for anyone saving for Financial Independence. 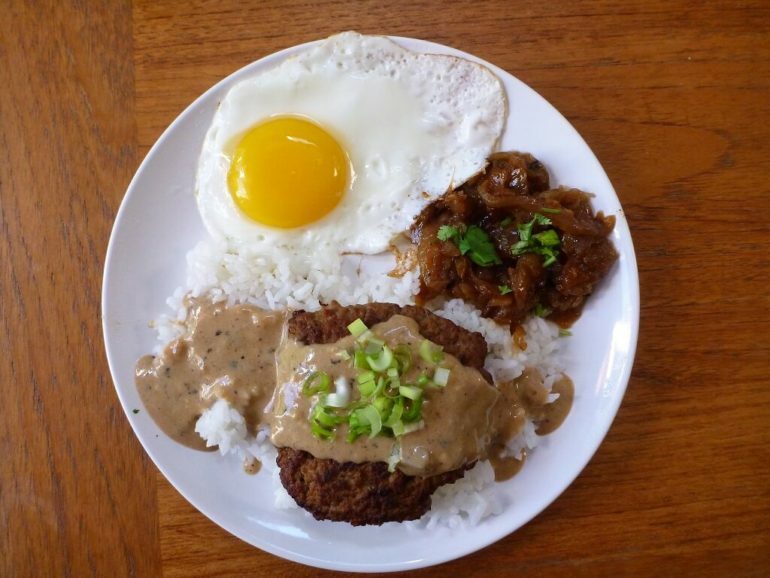 One of my favorite meals in the month of June — Loco Moco with caramelized onions. Inspired by Joe @ RetireBy40. Fuel costs were also very low in June at $67. We didn’t go on any road trips in June, so fuel costs were well under our average fuel cost of $100/month. I did need to get more propane in June, but I’ve included that cost under “Other” instead of fuel. Mortgage and Childcare expenses are always the big expenses for the month — in June they amounted to $4,340. We consider these costs entirely optional because we could eliminate them at any time — I could have the kids home with me 100% of the time (I’d probably have no time to blog), and we could pay off the mortgage at any time. 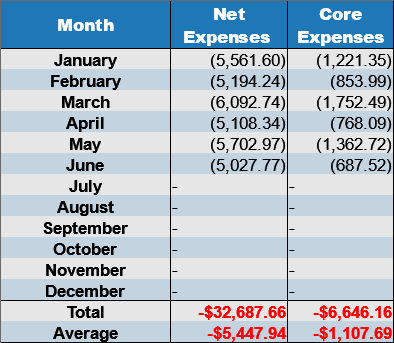 Outside those two major expenses, our June core expenses were a minimal $687.52, the lowest for the year. While our mortgage may be expensive, one redeeming quality of this house is the bountiful crop of raspberries that grow in our yard every summer. Internet expenses are finally back to normal after Comcast corrected their mistake — $49.99/month for 100mbit service. It should remain at that price for the rest of the year, at which point I’ll need to renegotiate with my ISP again. If you’re paying considerably more for your internet service, I recommend making use of the power of a phone call to negotiate a lower rate. Very few utility bills landed in June (July will have more), but our power bill was the cheapest of the year at $74.51. This includes both electricity and natural gas charges. Summer also means a lot more time grilling outdoors. Unfortunately my annual propane tank refill needed to happen in June… but this year I was prepared! The refill only cost $10.29 for 5 gallons (including taxes). That’s the cheapest LPG refill location in my area. 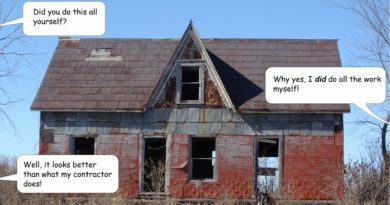 I found the place using an online tool. When you have no way to cool the house, cooking food outside is definitely the way to go on hot days. Most of the time I like to grill, or simply use the slow-cooker outdoors. For the year so far, we’ve spent $32,687. This includes our mortgage and daycare costs. 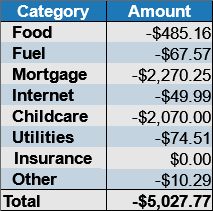 Outside of those two major expenses, our core spending was a mere $6,646. Next year, our oldest son will start kindergarten and I expect daycare costs to drop. School costs will rise, but the net dollars spent should decline considerably. When we finally sell our house in this HCOL area, and move to our new LCOL home, I expect housing costs will also decline sharply. 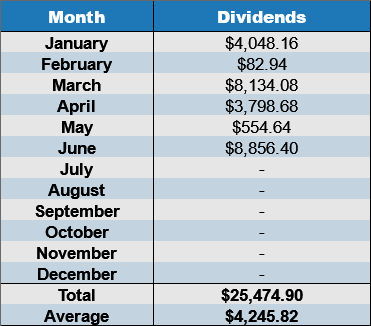 Dividends in June amounted to a plentiful $8,856. The end of the quarter always sees the largest dividend payouts — this means March, June, September, and December are months that see the largest dividends. For the year so far, we’ve collected $25,474 in dividends. This total is a little less than I wanted it to be as part of our Dividend Growth Plan, but I can’t complain — making over $50k in completely passive income for the year is pretty nice. Please remember: This dividend income is from our taxable accounts only. We’re not touching our tax-advantaged accounts at this time. 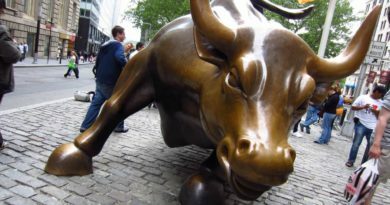 A few readers have asked me if we attempt to smooth our dividend income to help deal with the big swings month to month — The answer is, we don’t! Instead, we simply carry enough cash to handle the months with bigger deficits. Now it’s time for the sleep report — the part of the monthly update I dread. As I wrote about back in March, I’m an absolutely terrible sleeper. I average somewhere around 4-6 hours of sleep per day. It’s probably not very good for my health. To try to do something about it, I decided to improve my sleep hygiene by setting goals and tracking my sleep habits. How did I do in June? Terrible! I regressed! I met my sleep goals a mere 4 nights out of 30. I don’t have any good excuses for this month either — either I was up late blogging, or I was reading instead of sleeping. Clearly I need to try a little harder! In June the cash continue to pile up. I made no investment changes. Why? Equity investments look expensive to me. At this point, with the Fed planning several rate increases for the year, the downside risk to the general market looks bigger than the upside. Maybe you watch the Shiller PE ratio, or perhaps you follow the treasury bill to earnings yield spread. Whatever your favorite metric, one day Mr. Market’s numbers just make no sense. I prefer to wait for a better deal. One day better value for my investing dollars can be realized. While I may occasionally find individual investments that meet my criteria, those seem to be few and far between right now. Instead of watching the market with frustration, I went for a long hike instead. There’s plenty of ways to spend my time NOT worrying about what Mr. Market is doing. With the sleeping thing, perhaps you just aren’t a “all in one go” sleeper? Search out “polyphasic sleep”. It’s just what it sounds like: multiple sleeps in a day. This can range from the Spanish “siesta” (one core sleep at night, one nap mid-day) and the pre-industrial “dual core” (late evening sleep, middle of the night quiet wakefulness, early morning sleep) all the way out to “dymaxion” and “uberman” sleep schedules which are just several repeated naps! Wow I’m always amazed at your grocery bills. It’s AMAZING for a family of 4! You have such great photography skills too! I’m glad to hear that your summer utility bills are lower than usual. It’s been pretty hot in DC, so I’m a bit nervous to get our electricity bill for this month hehe. 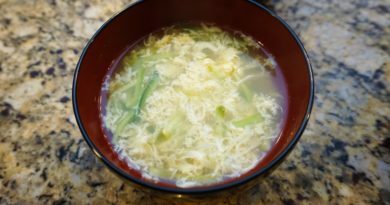 My favorite part of this blog is the food pictures. Haha. I need to improve my kitchen-fu. I have been eating more vegetables lately though, especially broccoli. Another awesome month. Gotta love all these fresh produce in the summer. 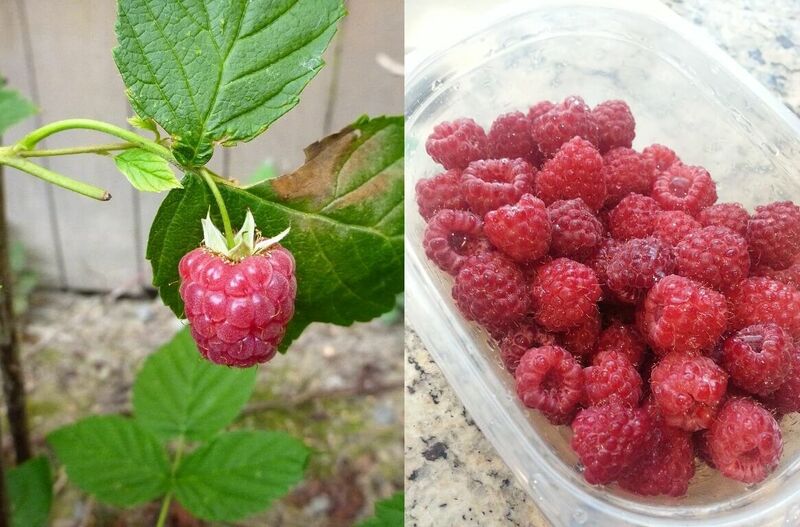 We are harvesting a lot of strawberries and raspberries in our garden, LOVE it! Your dividend income is pretty awesome in June. Very impressive. It’ll be a while until we get to that point. I should post a graph of my dividend income growth over the years. Might be fun to share! I definitely have the opposite problem of you during the summer months down here in Phoenix. A couple weeks back we were flirting with 120 and it barely didn’t get there. AC is pretty much mandatory everywhere. Awesome month and YTD totals, you’re basically making the average wage of an American with just your dividends! Except I pay far less in taxes on dividend income! That childcare is a doozy. Same for us. And it’s only gonna get bigger as we get more kids. It is what it is though; I wouldn’t trade having my kid with anything in the whole world. Money’s just a tool. And again, I’m always impressed with your guys’ passive income, and it’s all from just your taxable account! Hee hee, I love that your son is wearing an octopus shirt. Super cute! It’s nice that you don’t need AC in the summer. Those cost could get pretty bad. I guess that’s the plus side of living in a place that has cold winters! Nice dividends in June. My June dividends came in at $7027.39. I’m still fully invested so what cash that comes in at a trickle gets held until reinvestment. XOM and OHI are looking fine at these levels for me and I will accumulate a bit more as I get the cash to do so. I was working on accumulating NKE but the big pop over the past few days has me looking elsewhere. As we live in the tropics, we are enjoying the raining season. Fruits and vegetables are abundant here year round although imported items like apples and avocados are quite expensive so I consume them less than I would if they were local and in season. I absolutely love summer in the PNW. That’s why we just stay in town and take our vacation later in the winter. Our utility bill and food cost are the same way. It’s great to have affordable fruits and vegetables. We’ve been eating a ton of cherries and berries to make up for those months without them. Oh, we visited C&C and it’s pretty cool. We didn’t buy any bulk stuff because it’s just too much for us. The hot sauce and cheese are great deal. Shrimp price is great too. Thanks for that. Great job on dividends and food expenses. Love the food pictures. My oldest son and I were reminiscing about living on the Big Island(Kona) and how the kids would run up to Kay’s kitchen to order Loco Moco. Such nice memories. Hubs and I decided to go without Costco for a while, I found a place to get coffee delivered to our house for only 10 cents more a pound than the Costco price. This alone is worth not having to set food into the craziness that is Costco(I just don’t have the shopper gene that some women have). We made almost every meal with the exception of a pizza ordered during a basketball tournament. Next time we will be more prepared with our cooler of food, the day ran longer than expected. I love the PNW in the summer. I cleaned up a smoker that I received from free from Freecycle then used the bottom section for a fire pit last night. The boys and I roasted hot dogs and made Smores, inexpensive and wonderful. My favorite kind of activities. How much does Kindergarten or school cost in the United States? In Canada we don’t have to pay anything but I am curious to know as we have this aspirational dream of moving to Hawaii sometime. That dividend income is amazing and your grocery bill is fantastic, we were doing well this month until we made a trip to Costco and blew $200! Does Mrs. Tako work? We love Hawaii too! If I could afford it, I’d probably move in a heartbeat! Generally speaking, non-private schools are “free” (paid for with taxes) in the United States. However, there are certain costs that parents are still required to foot-the-bill for: lunches, school supplies, and certain classroom fees (such as paying for a field-trip to the aquarium). Those are outside the usual items covered by the state. Extracurricular activities (such as sports) also have fees paid for by the parent, even though they might be hosted by the school. Mrs. Tako is currently working. There’s a number of things keeping her there, not the least of which is — she likes her job. She foots the bill for the foreign language daycare, and our healthcare currently. While the daycare fees will eventually turn into much lower school costs, healthcare costs in the States are a big question mark. I think everyone in the States is waiting with baited-breath to see what’s going to happen with healthcare. Under the current ACA plan, we’d pay about $480 per month with credits. Under the newest proposal? I have no idea! Ah thanks for the information. Wow, I had no idea American health care was so expensive, that’s a lot per month. In B.C. Canada we do have to pay MSP which is around $75 for an individual and I think around $150 for families. Cool that you added the core expenses, you guys are doing really well! Congrats also on the dividend income, pretty impressive. Have you published what amounts are in your taxable vs tax deferred? You mentioned you have not touched the tax deferred accounts and it makes me wonder if my strategy needs adjusting. Since most of my savings goes into tax deferred accounts (5 to 1 ratio Ira vs brokerage) I am trying to figure out how you got enough into your brokerage and how I can also do the same. Do you have a page of your dividend portfolio? I’m nervous about equities too. Thinking about holding off right now and waiting for the decline and just saving up cash. I love that you “smooth out” the months of lower dividends by just having the money on hand and not worrying. To me, that seems to be a lot of your admirable approach. Don’t worry, just plan for it.